Hello everyone! I hope you are all having a wonderful weekend and get a chance to do something you love to do. I've spent most of my day upstairs in my craft corner working on various projects. It's too bad that my hands don't work as quickly as my brain! I have so many projects going on inside my head and I can't seem to get them on paper fast enough! Unfortunately, sometimes those ideas disappear as quickly as they appear, so I have a list on my craft island and I try to remember to write them down as they come to me! It gives me a great deal of satisfaction to check off one of those projects after it's finished, and today, I get to check one off! With this card, I actually get to check off two items! 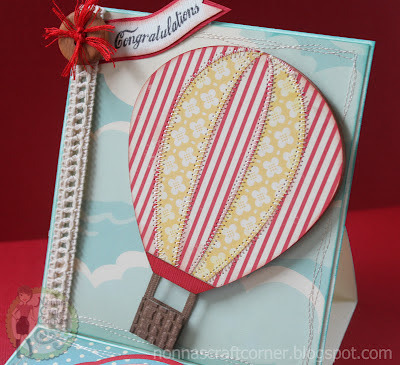 I needed to make a graduation card for a friend and I have been wanting to make something with one of these beautiful hot air balloons I've been seeing everywhere. So, today's post is a twofer! Don't you just it when that happens?? * Easel card made from - Bazzill in "French Vanilla"
* Printed papers - from "October Afternoon"
* Sentiment Tag - Silhouette Online Store - "Echo Park"
* Sentiments - Pink By Design - "Small Things" and "Vintage Greetings"
I was so afraid to try stitching on the balloon after all the work of inking the edges and putting it together! But, I went ahead and zig-zagged away and I'm so happy that I did....I love the way it turned out! I also did some crazy, wavy stitching around the edges of my card just for fun! 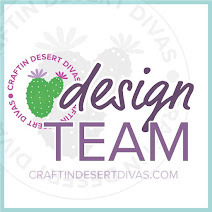 I'm going to enter my card into the challenge going on over at Made Especially For You - "Create An Easel Card"
Thanks for stopping by and I hope you enjoy the rest of your weekend. I'm going to go see what else I can check off that list of mine (and I'm sure I'll also be adding a couple of things)! Oh this is just fantastic, Tanya. I love the stitching - amazing. fab card, love the pattern papers and the stitching! thanks for joining us this week at MEFY! This is beautiful!!! I love that balloon!!! Wow Tanya! I love the balloon! The minute I saw this, I thought... Oh... Which cartridge is that from. 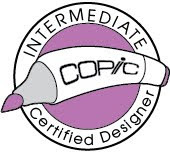 Well, turns out it "AINT CRICUT". Hee! Hee! Oh well. I think I have a cart with a similar cut I can try. 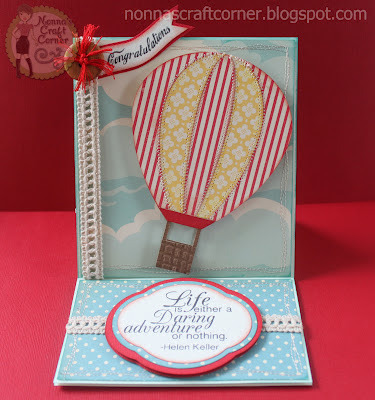 I just love the colors you chose and that sentiment shape is amazing! It's just so beautiful! I think I am going to scraplift anyway. Hee! Hee! Hi Tonya, love the hot air balloon on your easel card and so glad you did all that stitching, as it really looks great. Thanks for playing with us at Made Especially for You this week. Love your card! The stiching on it looks fantastic and the balloon is super cute!! A really pretty card. Love the balloon. what a gorgeous card!! 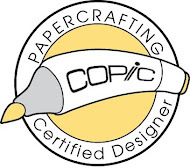 Love the stitching and love the beautiful papers!! Love this card. May have to scraplift this one. Thanks Tanya. Beautiful! Tanya, this is AMAZING!! Great job! Not sure I could sew in that straight of a line on a curve! This is a fantastic card. I really like the stitching, and have pinned this to one of my boards. Love your blog also. Beautiful card Tanya! The stitching looks amazing!!! I just love that hot air balloon cut. Very nice car:) Hope you had a great wknd! 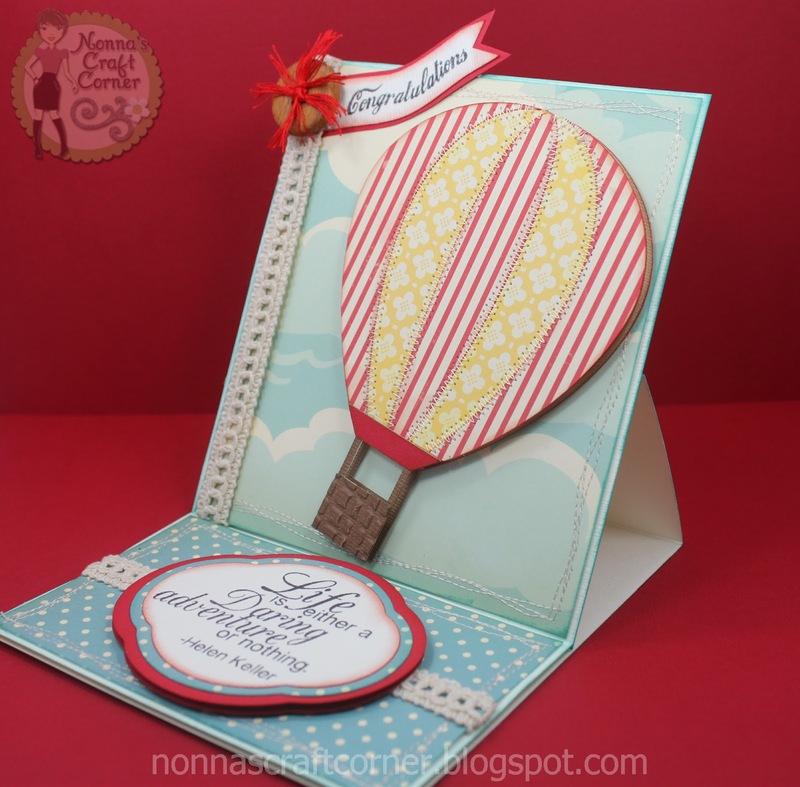 Beautiful card Tanya.Love the stitching both on your amazing balloon and around the card. love this card too!! I've been wanting to do more stitching!! this is great!